40A solid state relay (SSR) with 70-280V AC input features high structural strength, good impact resistance, and strong shock resistance. 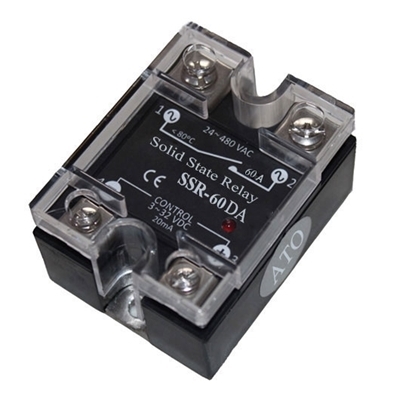 The SSR offers a reliable switching the commercial and industrial loads, such as computer peripheral interface device, printing machine, molding machine, food machine, packaging machine, and so on. 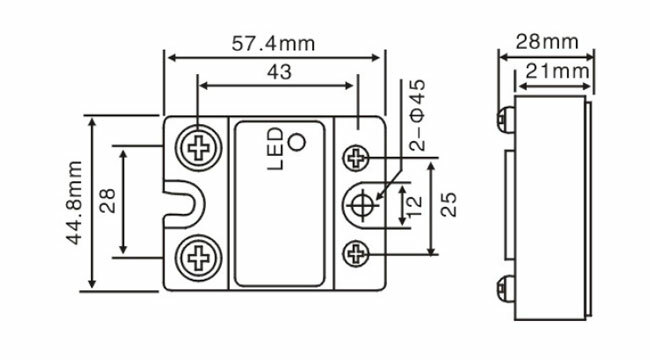 Horizontal W-type and vertical L-type of solid state relays in small sizes are suitable for direct welding installation on the printed circuit board (PCB). Vertical L2-type is not only suitable for welding installation on circuit board, but also can be applied to socket installation on the circuit board. In the selection of SSRs used in PCB under small current standard, welding temperature should be less than 250 ℃, and time is limited to 10s since the lead terminal is made of high thermal conductivity materials. Given the ambient temperature, derating use can be considered if necessary. The load current is generally controlled within 1/2 of the rated value. K-type and F-type are suitable for installation on radiators and instrument baseplates. In case of high-power SSRs (K-type and F-type package) installation, it should be noted that contact surface with the radiator is smooth, and is coated with thermal grease. The larger the installation torque, the smaller the contact resistance. It is necessary to equip high-current leads with cold welding flakes to reduce contact resistance of the lead wire.